Thank you for visiting my website! I am a 15-year old wildlife photographer based in Southern California. My specialty is herp photography. I started taking pictures of lizards, birds, butterflies, and other wild animals in my backyard when I was eight years old, using an old 2 pixel point & shoot camera my parents thought was no longer working. 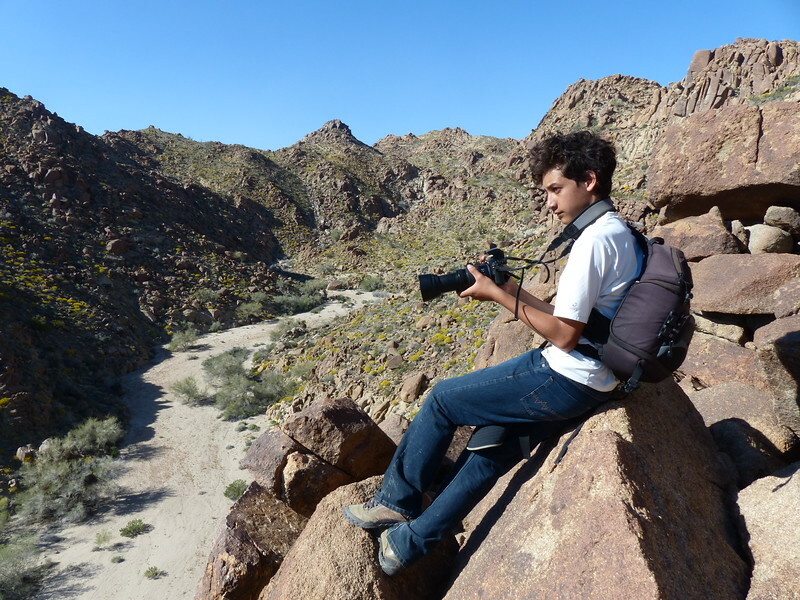 As my passion for wildlife photography grew, my dad started taking me into the local mountains and deserts to search for more exciting species to photograph, especially snakes and lizards. In the years that followed, herping (searching for reptiles and amphibians) became a weekly ritual for us, and my dad and I traveled all over California, as well as to Arizona and Hawaii, in search of ever more elusive species. At age thirteen, I also started freediving (aka breathhold diving) and taking pictures underwater. That's one of the great things about living in Southern California. I get to herp the first half of the year, when weather conditions are best for finding reptiles and amphibians, and I freedive the second half of the year, when ocean conditions are best for diving. I enjoy getting really close to my subjects, whether on land or underwater. That way, I feel the most connected to the animal and am able to capture the most detail with my camera. Shooting from close proximity is also necessary for animal in habitat shots, wide angle shots that show the animal in its natural surroundings. Though I take pictures of animals mostly because I love it, I also hope that my photography will help protect wildlife by inspiring others. Especially reptiles and amphibians are misunderstood and deserve more recognition by the public than they are currently receiving. The galleries of this website show some of my best work to date. You can find my latest photographs on Flickr and Instagram. If you have any questions or comments, please feel free to contact me. I always enjoy exchanging information with others who share my passion for wildlife.